Justin Neal is privileged to have a team of professionals who provide excellent client care at every level. Together they are successfully serving each client with their questions, concerns and needs. They stand committed to providing the best customer experience possible. If you have a problem or need assistance at any time, please let them know. Born and raised in Georgia, Kyle attended Justin Neal's alma mater, Berry College, where he earned his BS in Business Management. Kyle met his wife, Julie, during his time at Berry where they both competed on the Berry College swim team and enjoyed their time on the world's largest college campus. Outside the office, Kyle and Julie enjoy working together in their professional photography business or enjoying the outdoors camping, backpacking, whitewater kayaking, offroading, or hunting. Qualified to handle all of our client needs, Kyle serves as the primary point-of-contact for our clients, though his focus is on the investment and planning side of the practice. He has extensive training in Fee-Based Planning and our other planning operations and constructs the Personal Planning Analyses for our clients. How can Kyle help you? Katy joined Justin Neal's team in 2015 and quickly became an indispensable part of our operations. As our Associate Financial Representative, she holds a Georgia Life, Accident and Sickness insurance license and assists our clients with insurance-related questions. Katy focuses on the insurance and client service aspects of our practice. She has extensive experience with customer relations and strives to provide the highest level of service to all of our clients. How can Katy help you? Ricky joined Justin Neal's team in 2017 and helps to run the day-to-day operations for our investment practice. 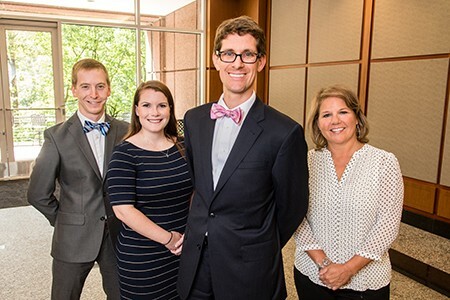 As an Associate Wealth Management Advisor, he holds a Georgia Life, Accident and Sickness insurance license and has passed his Series 66 and Series 7 exams. Ricky focuses primarily on the investment and client service aspects of our practice. He has extensive experience in customer service and works hard to serve our clients at the highest level. How can Ricky help you? Born and raised in Atlanta, Jon attended Covenant College where he was selected as a Maclellan Scholar for leadership and academic excellence. While earning his degree, Jon played on the golf team and met his wife, Kate. Outside the office, Jon enjoys playing golf recreationally, fishing, hiking, and spending time with family and friends. Jon joined Justin Neal's team in 2019 and as an Associate Financial Representative, Jon serves as point of contact for many of our client households and works to cultivate and grow new client relationships. Elizabeth has been a member of Justin Neal's team since 2009. As our scheduling assistant, Elizabeth enjoys interfacing with our clients, and is always eager to ensure that our team accommodates and communicates well with those we serve.